The past two weeks have been crazy here. Maddy has been preparing for Junior High cheer try outs. Meaning, a lot of take out, hours in the gym, piles of laundry, and sleepless nights. A total of 52 girls were trying out. That's a lot for her small school. She was 24th in line to give it all she had. Win or try again next year, she knew we were proud. Many prayers were said to protect her heart no matter the outcome. 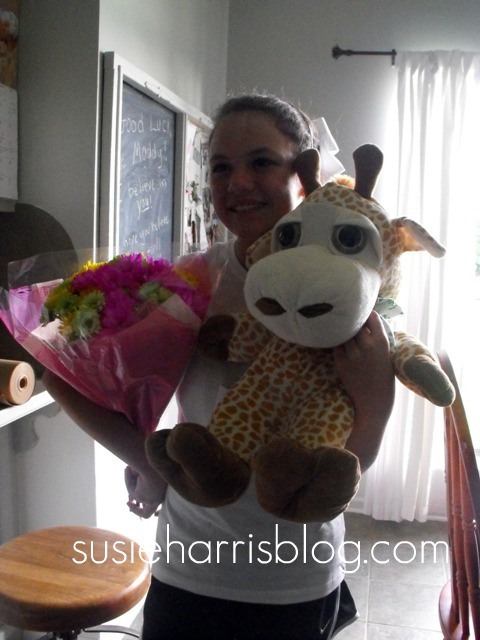 To shower Maddy with hugs and the cutest stuffed animal. I'm so happy that they have each other. Sisters are just something so special. I still can't believe my baby will be a 7th grader next year. This sweet child of mine. She just makes me so proud. Not only because she made the team. But because she worried all night about the precious girls that didn't. It's there that her beauty shines! Congrats! And you've a loving child if she worries about others before thinking of herself. Oh yes, you are in for a busy year! Been there, done that!! Instant tears for your little girl. I can't wait for those times with my daughter. I did cheerleading growing up and I remember the nerves I had each time tryouts came around, what courage she has! You give my inspiration on how to raise little girls into beautiful women. What great encouraging words you have for her! Congrats to you both! I know how hard it is to be the cheerleaders mom :) My daughter has try-outs at the end of April...she is already stressing...I think she has read the packet 10 times this week! 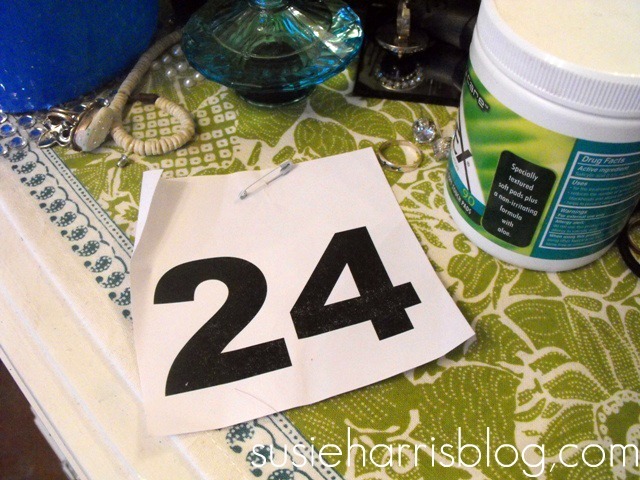 When I saw your try out number, I had a feeling that the outcome would be a good one! What a sweet and proud family celebration post! Congratulations!! I know EXACTLY how you both feel!! 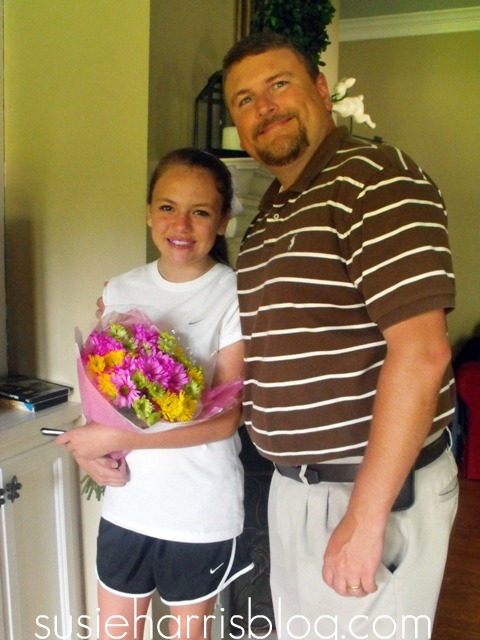 My daughter is a 4th year cheerleader this year and made captain. It is truly a great time!!! Beautiful in EVERY way. Thanks for sharing, and congratulations for having such a sweet girl. That doesn't happen by accident, mama! This is all so sweet! You have two beautiful daughters...you've done a great job! 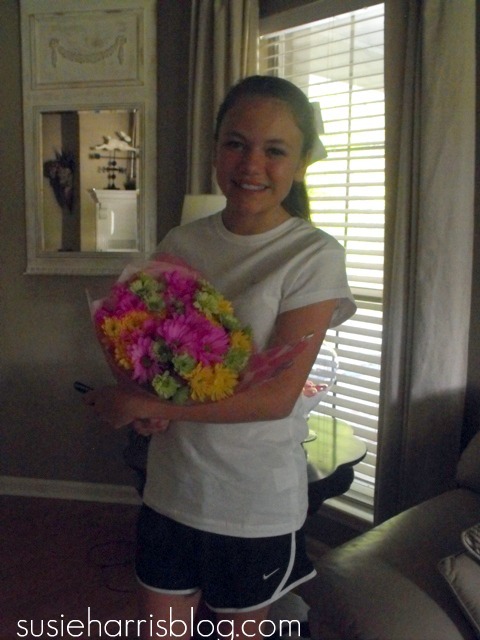 Hurray for Maddie! So sweet she was thinking of others . You have a nice family. ohmygoodness Susie! I got chills when I read this post! lol I am so excited for her, and the fact that she worried about those who didn't make it....speaks volumes! What a sweet post. I was a cheerleader throughout high school- it's an amazing experience and lots of fun. Congrats to her! Yeah for Maddy! She is going to have a great time! I loved being a cheerleader in high school - it's a lot of work and a lot of fun! What a precious, sweet soul she is to be worrying about others that might not make squad. 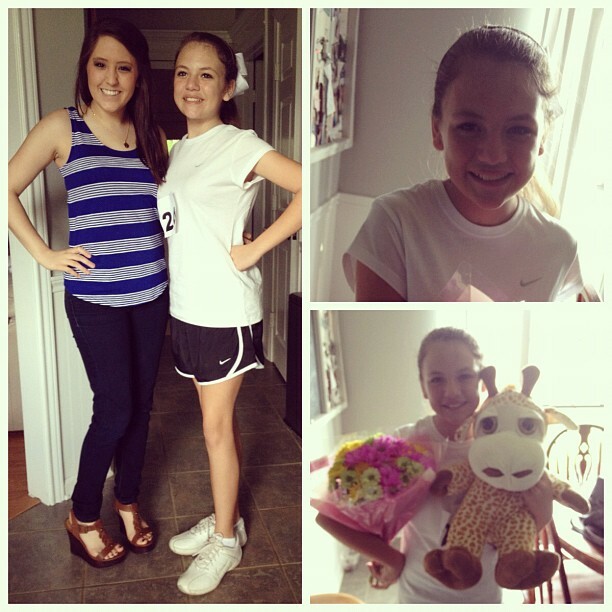 Aww, big congrats to MAddie! I know ya'll are so proud of her. She is so cute & I wish her well in Jr. High. Those can be some hard days, but I hope she has some great friends to get her through. xoxo See you in June!! 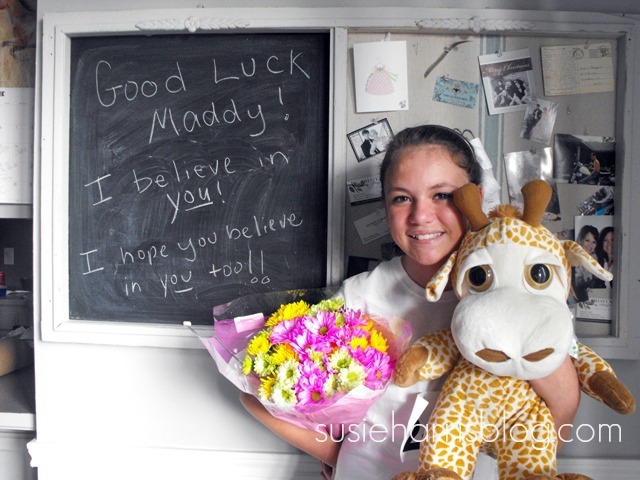 Congrats Maddy,, I love that she felt bad for the girls that didnt make it.. so sweet! 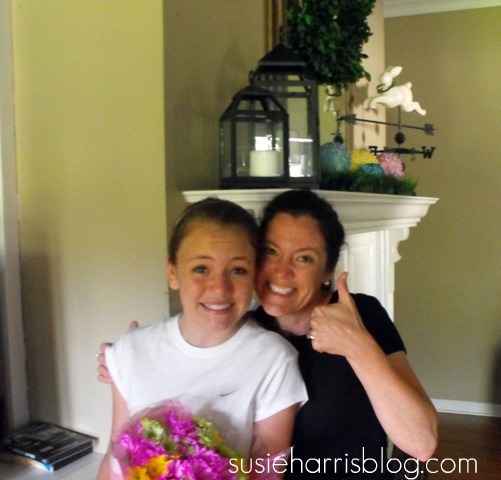 Susie, This was the SWEETEST post! Yea for Maddy and yea for a mama who supports her daughter whether she wins or not! BTW, I just think Maddy looks exactly like you in these pictures! That is a GOOD thing!! You are both beautiful! Also I loved your Easter "basket" in your newest post! So cute! 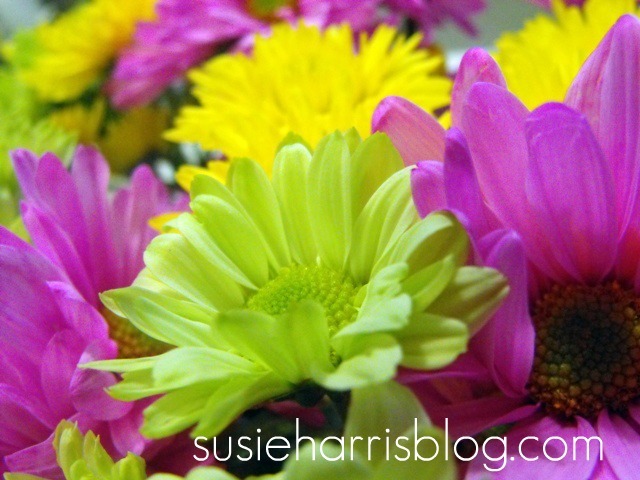 I love all things Easter and Spring!! Congrats to your daughter! I understand the sad part about friends that didnt make it. My son made his baseball team, but it is bittersweet that all the boys just cant all have a shot. They are still so young, and great kids. Susie, your girls are so beautiful (like their mom! ), but they're also so obviously beautiful on the inside as well as the outside. I pray that my boys find girls like yours to marry! Not that I'd arrange marriages for them. . . but I'd sure love for God to provide young women with such lovely hearts for them. Congrats to the new cheerleader!